Energy comes in many different forms and we use it in many different ways. In this section, we will show you why we need energy, the history of how we learned to change energy from one form to another, and some of the characteristics of energy. 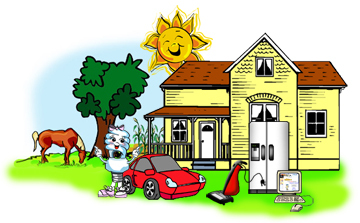 Use the table of contents on the left of the page to learn more about energy in our world. Just click on the topic you want to explore and have fun!